To keep up with the dynamic demands of clients, we are engaged with providing a vast selection of Roller Conveyor System to our customers. We, being a Manufacturer and Supplier, strive to maintain the quality we are renowned for. For that purpose, a team of qualified experts strictly matches the quality to industrial quality standards to ensure there is no drop in the quality. This bundle of quality is on offer at reasonable rates. 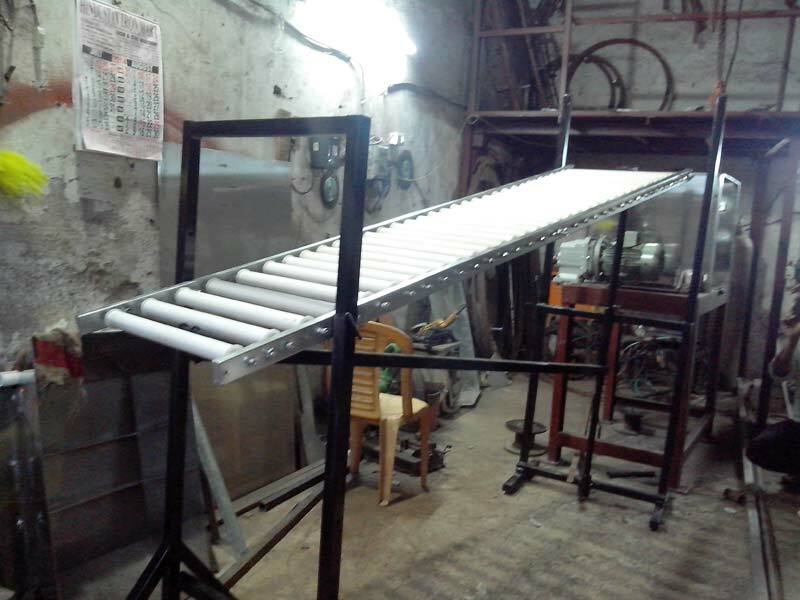 Roller Conveyor : In this conveyor category there are two types 1) Motorized Roller Conveyors and Gravity Roller Conveyors, useful in Packing Line for Box Packing / Loading of Heavy Materials in to Trucks / Internal Moments of Heavy Bags or Machined Job in Auto Mobile industry. This conveyors are available in Stainless Steel / M.S.with Powder Coated or Sleeves coated.